Home » Blog » KDP Select or Not? In the last entry to this series, I spelled out the distribution options for someone self-publishing an e-book. Just to sum up, while those looking for online global distribution of print books really have just one practical choice (Amazon’s CreateSpace), anyone looking to distribute an e-book has many more options to pick from. On paper, there are over a dozen e-book channels tied to different platforms. But, in practice, the Big Three (Amazon Kindle/Kindle Store, Apple iBook/iTunes, and Barnes and Noble Nook/BN.COM) share more than 90% of the e-book market. And, within that trio, Amazon controls far more than half of global e-book sales. So if you have to pick just one channel, the obvious choice is Amazon. But no one needs to select just one alternative. Working all three major channels (Amazon, Apple and B&N) yourself just requires you to create your e-book in two formats (Kindle MOBI and EPUB for everyone else), upload it to three different sites and manage your interaction with three different vendors. And if this seems like too much work, you can work with Amazon yourself and outsource distribution through everyone else to a distributor like Smashwords. Given that wider distribution is preferable to narrower, multiple distribution channels seem like an obvious option. But Amazon offers a carrot that can confound this simple choice: their KDP Select program. An author signing up with KDP Select gets preferential treatment within the Amazon ecosystem and books available under Select are part of Amazon’s “All-You-Can-Eat” Prime program which allows you a share of the monthly pot the company splits with authors based on how many books have been downloaded and read under Prime. In addition, authors can run promotions during every 90-day window they are signed up for Select, giving them the opportunity to offer a book for free for up to five days. This can lead to increased (albeit royalty-free) sales, which help push your book up the Amazon rankings. The catch? Select authors cannot distribute their e-books through any other channel during the aforementioned 90-day period. So no Apple, no Nook, no Smashwords – not even distribution through your own web site is allowed. While this might seem like putting all your eggs in the Amazon basket (is Amazon distributing eggs these days? ), keep in mind that an author’s commitment under Select is only 90-days long. You are free to renew your Select standing (in fact, once you sign up, you will be automatically renewed for additional 90-day periods until you make the effort to say “No”). Given Amazon’s clout, they are the ecosystem of choice if you want to deal with just one channel. And, if that’s your preference, Select maximizes the benefits of joining the Amazon universe. But keep in mind that the scale of Amazon also has a downside since it’s far easier to get lost in the world’s largest online store vs. a smaller boutique. When deciding what to do with Critical Voter, my recent (serious) self-published work, I chose to go with Amazon Select – both for convenience and as a way to kick the tires of the program. How did it go? So-so, but that simply confirmed that getting your book into a vast channel does not guarantee people will find it. Given that this is meant to be a learning experience, I decided to re-up for another 90-day period, although I’m eyeing wider distribution once the current three-month exclusivity is over. and the November election (the subject of Critical Voter) gets closer. Next time, I’ll conclude this sub-series on book distribution with a decision-tree that will help you choose the right path for your self-publishing project. KDP Select is not really a great fit for non-fiction under 200 words. You get very little tle benefit from high ranking and almost no money from page reads even when someone borrows your title. Many people who borrow don’t read the book quickly or in its entirety. Better to get half of something than all of nothing. For fiction, collections and popular series/installments the opposite is true. Competition is so fierce and the genres are packed so tightly you really can’t afford to not use KDP Select. 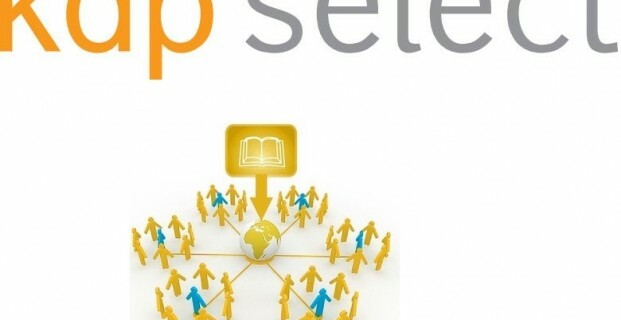 Many are opting out of KDP Select. They cite the rumored scams that plague the Kindle Unlimited program, the low page-read rate, the perceived hits they are taking to sales, or the desire to publish on other platforms. Any program can be scammed, but that doesn’t affect you own page-reads…If your book isn’t being borrowed or voraciously read, there may be a reason. The page-read rate dipped a few milles per page when writer enrollment outpaced reader enrollment, but it has started to tic up again. While it’s theoretically possible that Kindle Unlimited members might buy a book that’s not available for borrow, the reality is that KU members don’t buy books. As far as publishing elsewhere, sure, go ahead, but keep two things in mind…Amazon has 85% of the market, and the number of KU members has surpassed the total number of Nook readers.